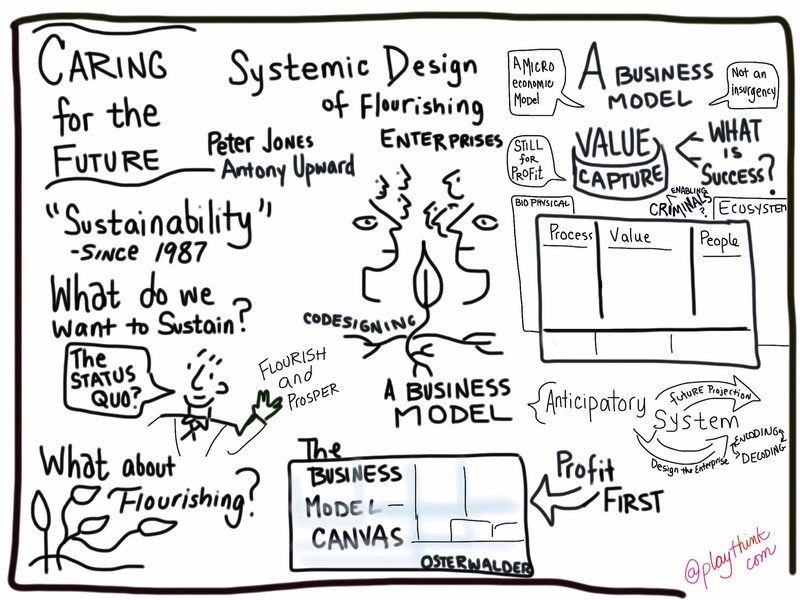 Jones, Peter and Upward, Antony (2014) Caring for the future: The systemic design of flourishing enterprises. In: Proceedings of RSD3, Third Symposium of Relating Systems Thinking to Design, 15-17 Oct 2014, Oslo, Norway. Human commerce utilizes the most significant share of natural resources and produces the largest aggregate impact on the earth’s environment. As a consequence of modern employment and work cultures, commerce also defines and directs much of the social contract and social organizational forms in developed societies. Sustainable development movements to conserve resources and to democratize or enhance organizational practices have called for culture change or transformation. However, these approaches have not yielded results that will significantly enhance human flourishing in the face of globalized commerce. We further assert that alignment toward sustainable development or so-called corporate sustainability are misguided and systemically depreciative, as they purport to sustain activities that foreseeably accelerate ecological degradation. We propose a modeling system for co-creating strongly sustainable enterprises that will foster whole system flourishing across living ecosystems and vibrant social systems. This systemic design approach to business transformation functions at the level of the business model. 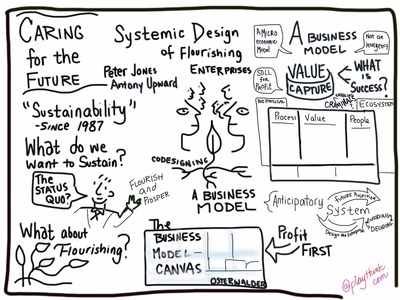 We claim that business model design affords the highest leverage across all modes of organizing for collective cultural adoption ecosystemic practices.